BatMiner - The First Mobile Mining Farm. It's a revolution of crypto mining. Maxwell Coin (MXC) - internal cryptocurrency based on Stellar. All earnings are now calculated in MXC. The global financial system is changing before our eyes. Transactions in blockchain are growing every day. Why? The main advantages of the leading crypto-currencies are high protection, decentralization and anonymity. During the first 2 days of mobile mining, new users get a part of power of our own equipment for free of charge. This increases the revenue by 10-15 times! In 2 days the revenue is reduced and limited by the capacity of connected devices. We are sure that this promotion will help to unlock the high potential of BatMiner Network and to get a good profit while increasing the network up to 100 active devices in the future. With high network node activity, your network starts to grow automatically. New registered users will automatically join your network. But much more effect you will get from the popularization of the project and connecting new devices through the invitation link in the mobile application. Bitcoin, Monero, Ethereum and other leading crypto-currencies are based on the Blockchain technology. This technology assumes using unique addresses for money transfer, smart contracts, account management and other financial operations. The addresses are grouped into blocks, which in their turn depend on each other. The generation of new blocks involves the mining process, i.e. you actually mine blocks and receive the corresponding rewards. The mining process is a necessary condition for the most blockchains systems. Mining requires certain computing power. At the beginning of the blockchain era, personal computers were primarily used for this purpose, but later the range of used devices was expanded. The company Maxwell Group Consulting Ltd. (MGC) is specialized in the trade of cryptocurrency pairs. In 2018 the company focuses primarily on mobile mining and mobile farms. MGC proposes a new mining method having no shortcoming of traditional mining – the project BatMiner. This project consists of two components: mobile application BatMiner and BatMiner Network infrastructure. The mobile devices serve as the main equipment, forming the small and big subnets. The equipment price and electricity consumption are minimal because only mobile devices connected to the Network are used. The fluctuations in exchange rates also do not affect the mining efficiency and profitability, because the most profitable coin for mining is automatically selected every day. 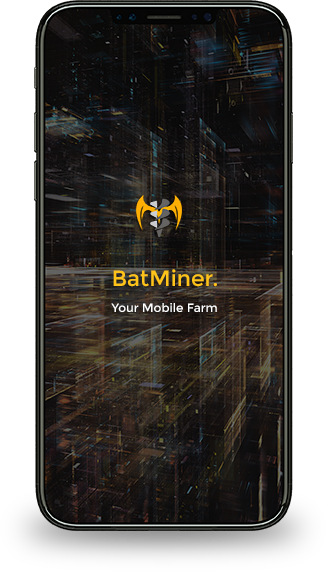 The Mobile App is connected to the chosen address of the BatMiner Network and performs computing operations for cryptocurrency mining. The mobile device has a low processing power and can’t be used alone for the mining process. BUT a certain number of interconnected devices can be much more efficient than any other traditional farm. BatMiner is not only mining on your device but also sending generated adresses to the BatMiner Network, where addresses are analyzed and further used for the block resolution at the same time. Your device becomes an additional unit (network node) for the solving a complex mathematical problem. Currently, BatMiner mines cryptocurrencies based on Cryptonight algorithm. All devices can simultaneously mine Monero, Sumokoin, Electroneum, Aeon and other currencies. The decision, what currency to mine, is determined by the Network itself depending on currency rates, network complexity and other parameters. Hash rate – is the indicator for mining efficiency and is measured in the number of hashes (unique addresses) per second. The hash rate for a budget not so expensive smartphone is about 30-50 H/s. The top smartphones and tablets can have a hash rate up to 100 H/s. Modern farms that use Cryptonight algorithm are mining from 2000 to 4000 H/s. A not so big Network with 100 devices can be easily compared to any traditional farm. Build your own network on computers, video cards, rigs and even more powerful equipment. You do not have to mine on mobile devices, if you have more powerful equipment. Just connect to our official mining pool and invite your friends. There is a high probability that new devices will join your network in 2-3 days automatically. Check the “Get Started” section of the pool. Choose your port from the list (1111 – 1119). For low and middle devices ports 1116 and 1118 is a good choice. For rigs please select 1119. Choose your favorite miner, download and configure it. Your user name is your login at my.batminer.network and suffix -pc. E.g. sebastian-pc1, sebastian-pc2 (for second device). Start mining, in 10-15 minutes a new device will appear in your profile. You can mine without joining BatMiner network, in this case specify ports 2222 – 9999 and your Masari wallet address as a user name in miner settings. The project consists of two components: mobile application BatMiner and BatMiner Network Infrastructure. 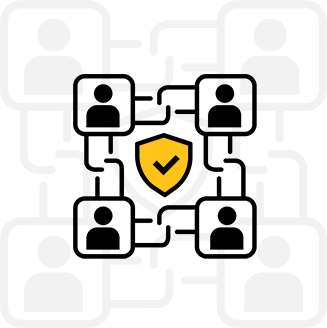 The mobile application is connected to the specified address and sends the results of the performed work to the Network. In case you connect computers or rigs, you do not need mobile application but still can use it as a monitor. The term network node or node represents a simple part of network consisting of one or more devices. Initially, your device is a small network including just one device. Once you register an account, a system generates a unique node address, which you can share with your friends or your own clients to connect their devices to your node. They build therefore new nodes beneath you. You may install a mobile application on several devices, e.g. on your smartphone and a tablet and thus bind these devices to your account within the same network node. This will increase the hash rate of your own node. The devices connected directly to your node are the second level nodes. The devices connected to their addresses are falling into the third level nodes. Similarly, the fourth and fifth level nodes are build. 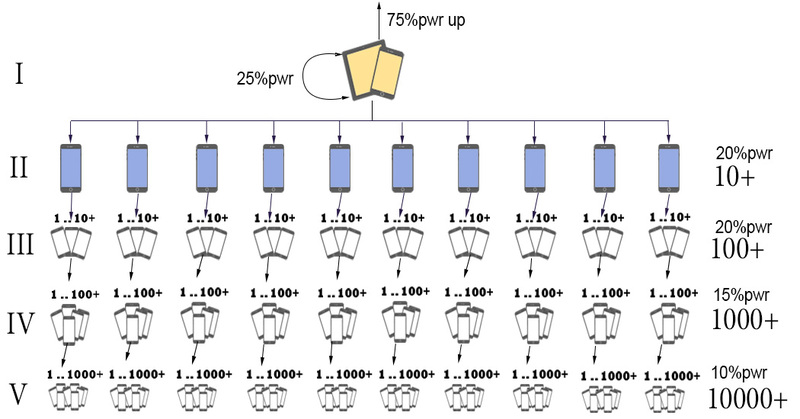 For harmonious power distribution we recommend to connect at least 10 devices to each node. Your personal gadgets are placed in the first level node at the peak of your network. 25% power of your private devices is used to generate a mining profit, the rest 75% is shared between upline network nodes. The second level nodes always give you 20% of their power. The third level nodes also give your 20% of their power as long as you have at least 10 nodes at the second level. Otherwise you use 10% of their power. The fourth level nodes give you 15% of power as long as you have at least 100 nodes at the third level or 10% otherwise. The fifth level nodes always give you 10% of their power. For middle and high end devices such as computers, GPU or rigs, you get always 90% of their power and 2% from such equipment power in the downline nodes. In case you register multiple private devices in your account (the first level node), you additionally receive 1% but not more than 5% of the whole network’s power for each registered private device. For each 10 h/s produced by your node, you also receive 1% but not more than 5% of the whole network’s power. 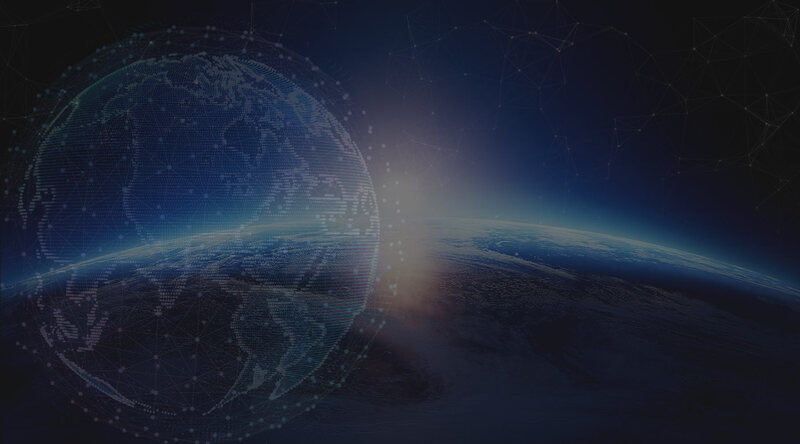 The system is designed in such a way, that it is profitable for you not only to find and connect new nodes, but also to increase the number of your private devices and total generated hash rate in your personal account. If you disconnect your private devices from the network (your node has 0 devices), the profit generated by the downline nodes is reduced by 30% during the shutdown time. If the shutdown period exceeds 24 hours, your income would be reduced by 50%. This is since the network loses part of the data and, accordingly, part of the power during your shutdown time. It is possible to use a mobile app without registration. In this mode, you get 100% of all coins you have mined, but you may not interconnect other devices or nodes. This mode is well suited for testing your device, you can proceed with the registration at any time and connect your phone to a specified network node. Suppose, you built 1 – 10 – 100 network with the average hash rate of 100 h/s for each node. In April 2018 such node’s power brings you about 0.00063 BTC or 5$ per month. So, for 10 nodes at the second level you get 10 * (20% * 5) $ = 10$ per month. For 100 nodes at the third level you get 100 * (20% * 5) $ = 100 $. Suppose, your account has two private devices with the total hash rate 100 h/s. You receive 25% for them or 1.25 $ plus additionally 2% from the whole network. In total your income per month is 1,25 + 10 + 100 + (2% * 111,125) = 113,47 $. Note, all the work boils down to withdrawal of accumulated funds to your bitcoin wallet and checking application status on your device. Not bad? If needed, you can exchange the funds in Maxwell Wallet to fiat money. According to statistics, each person has on average from 2 to 4 gadgets and the total number of mobile devices exceeds the earth’s population. Thus, we think that a network 1-10-100 is not big. Building such a network should be a relative simple task, if each BatMiner user could connect to his node devices from 10 people. The possible scenario is the ever-growing network where you personally do not need to take any action to expand it. But if the expanding process slows down, you can take active part in searching and connecting new devices to different parts of your network. Data analysis is performed in your personal account, here you see the total hash rates, the activity status and another useful information about your nodes. The network can grow not only in height, but also in width. For example, you can connect 20 nodes at the second level, 300 nodes at the third level, etc. A complex hybrid network 1-20-300-2000-12000 would bring $ 8,000 – $ 9,000 monthly. You can perform the exact calculations of the profitability for different network forms on our calculator. The current mining network difficulty, the rate of the most profitable coin, current Bitcoin to USD rate are here considered. Mining revenue is accrued every minute based on the connected devices and the size of your own network. Mobile app allows you to withdraw funds to any bitcoin wallet. Maxwell Wallet allows you to store and exchange funds. You can exchange Maxwell Coin inside Maxwell Wallet. Bitcoin can be traded to fiat money at the following stock exchanges.